PRICES: After you look through this page and get to know the yoga teacher for this week, please have a look at our Rates & Reservations page to see our BASE RATES (which cover accommodations and meals). OPTIONAL WORKSHOPS: We are very excited to offer our guests two special workshops this week. The first is called Transformational Journaling Workshop, and the second is called Accessible Arm Balances for Beginners. Please see below for more information and cost. Marcela started her Yoga journey back in the early 90’s searching for a holistic approach to heal her wrist and low back pain. At first self-taught with the help of classic yoga literature and videos; after completing a university degree she decided to relocate to the coast of her native country Costa Rica where she decided to make her passion for yoga and for a pure, authentic life a priority and so, a career. 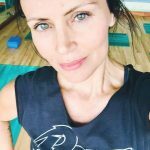 After several years of cultivating a personal practice, she got her first 500 hour certification in 2008 and since then has accumulated over 1200 hours of yoga related trainings in diverse styles such as Anusara, Multistyle, Yoga/Dance Fusion, Restorative & Yin, Therapeutic Yoga, Prenatal, Barre Fitness, Pilates, etc…. learning form highly reputable masters from diverse nationalities and backgrounds. With a keen focus on anatomy, you will find her creative and coherent sequences have the right balance between personal freedom and thoughtful, responsible alignment with emphasis on breathing and attention to muscular integration. Marcela will meticulously guide you through each pose in a playful, yet precise, comprehensive and insightful way so you can experience evolution in your practice that will enhance your daily life. She embodies the Pure Life local way of life with her belief that yoga is your natural essence, your authentic state which you just have to rediscover to return to your purest Self. My yoga teaching philosophy is founded in the premise of practicality. When you can apply what you learned in your practice off the mat; when your practice permeates all areas ?of your material existence and you can use this yoga to listen clearly to your hearts true voice and tap into your inner wisdom…that’s when yoga is real and useful. Remember that yoga is not just about us, or meditation, or the asanas (physical body shapes). Yoga is the way you are with other people; yoga is honest service (karma yoga) to others, without an attachment to the results; yoga is devotion that strives to see the love and divinity in every creature; yoga is the wisdom that guides you to spiritual liberation. Come join me to re-energize, unwind and re-connect with your true self while soaking up the blissful surrounds of beautiful Montezuma, Costa Rica…one of the most beautiful places on planet earth, where its inhabitants enjoy amazing health and a simple but rich life quality. Under my guidance the new yogi will be nurtured and encouraged to explore their asana practice but also to modify poses and rest if necessary. … We will focus not only on asana but also on meditation, pranayama (breathing exercises) and relaxation techniques. I offer you an opportunity to cultivate deep foundations and add relevant, practical wisdom to your practice that everyone can relate to in order to truly live your Yoga on and off the mat. Experienced yogis will be encouraged to explore and enhance their practice, get new insights and share their understanding of yoga asana in a supportive and nurturing environment. 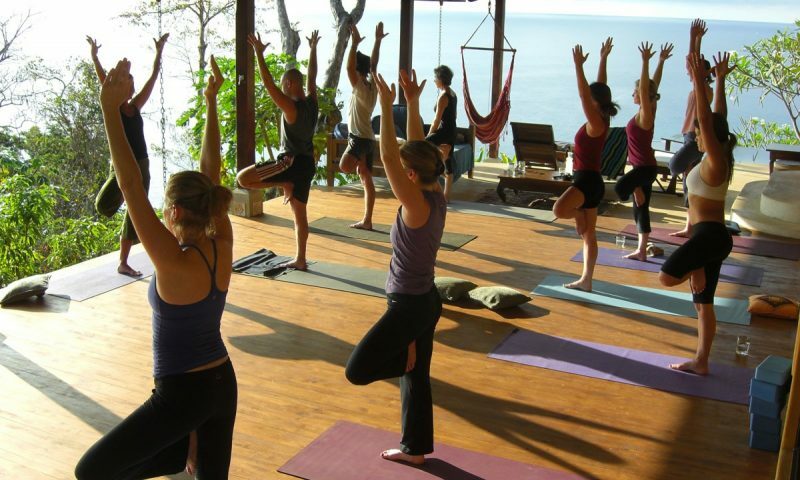 You’ll be guided through uplifting, playful and accessible vinyasa yoga classes in a peaceful natural setting with amazing views, delicious food and rejuvenating restorative/yin practices to help you bloom into the best authentic version of yourself and experience freedom. Show up and share your realness with us in this unique space. Even if your desire is just to rest and stretch, you’ll leave with so much more. Integrating Yoga, guided meditation and simple creative writing exercises in this 1.5 – 2 hour self-discovery workshop for beginners, you’ll access your deepest heart desires and your true voice so you can transfer these to paper and use this as a tool for personal growth. You will be guided through meditations to release emotional baggage, make amends with past relationships and awaken your creative spirit. Your writing will remain private during the workshop. Price for this workshop is $25, or both for $50. Arm Balances are empowering and fun! but without the proper technique these poses can lose their purpose and become a source of frustration and injury. In this 2 hr workshop I will guide you through sequences to access these poses with greater body awareness and ease, essential actions and movements to help your body understand the mechanics and leverage of arm balances, the power of your inner jewel (core) and make these inspiring poses part of your personal practice to enjoy the freedom of flying! Price for this workshop is $30 or both for $50.